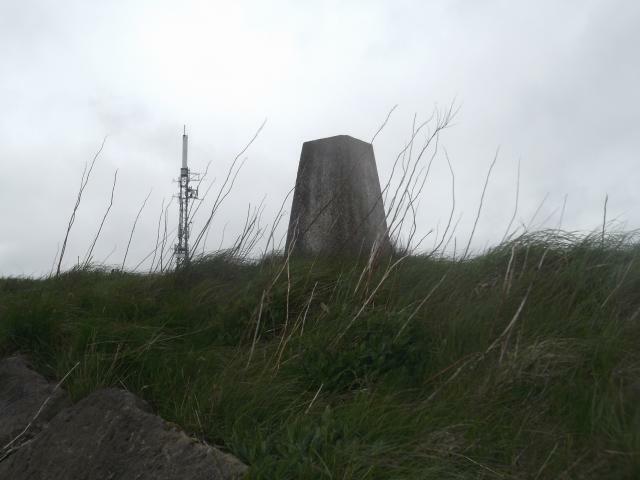 Is ranked joint 14516th with 32 other trigs (more). I used the previously recommended Wrosecliffe track. The gate was roped closed and a separate rope behind which was for horses in the field by the look. checked in with horse sanctuary who advised its private land but it would be ok. It�s such a nice secluded spot and worth the short trudge up. I half expected a disgruntled land owner to tell me to beggar off but all good. 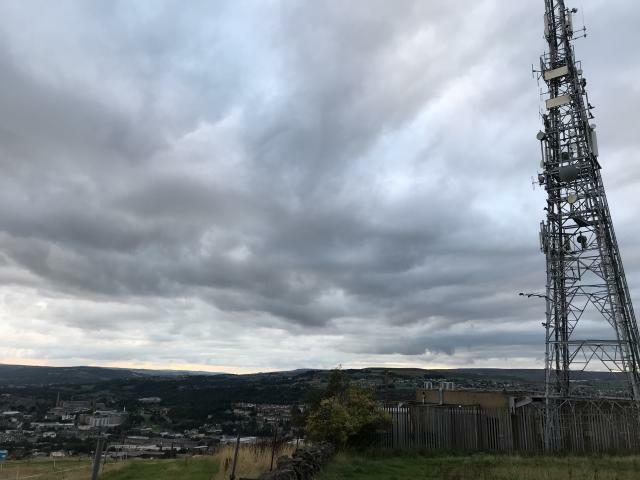 Whilst visiting adjacent trig in reservoir compound. 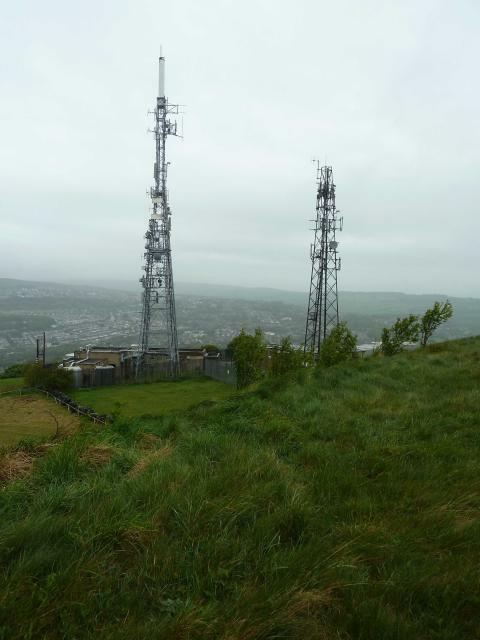 Walked up from bus station took the footpath from Carr Lane at Windhill,then up the mast access road. 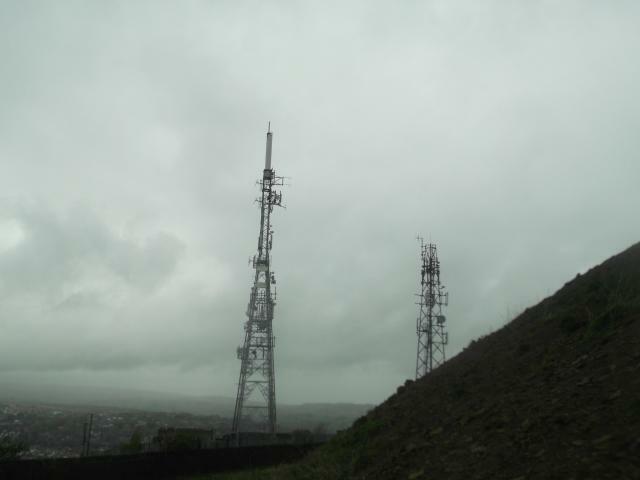 Two masts in compound. 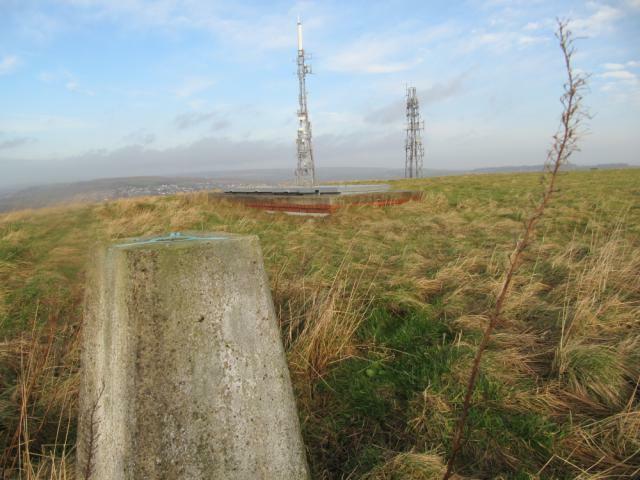 The trig station appears to be the one on the west side. 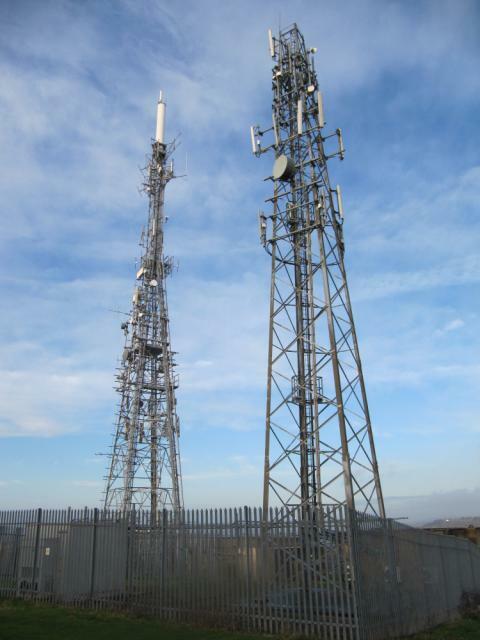 Idle Hill Masts. 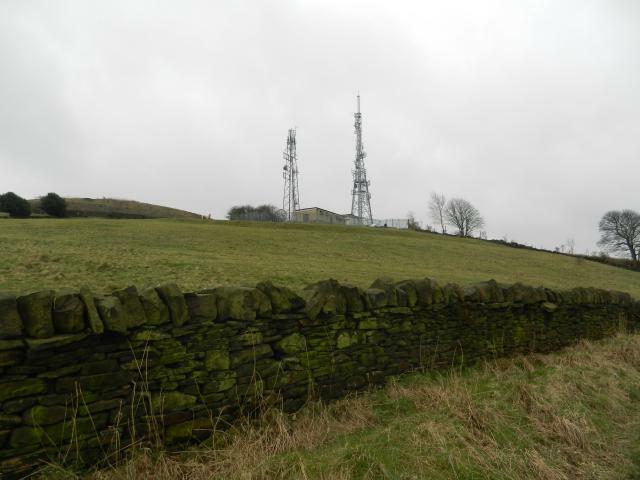 The trig station is on the left. 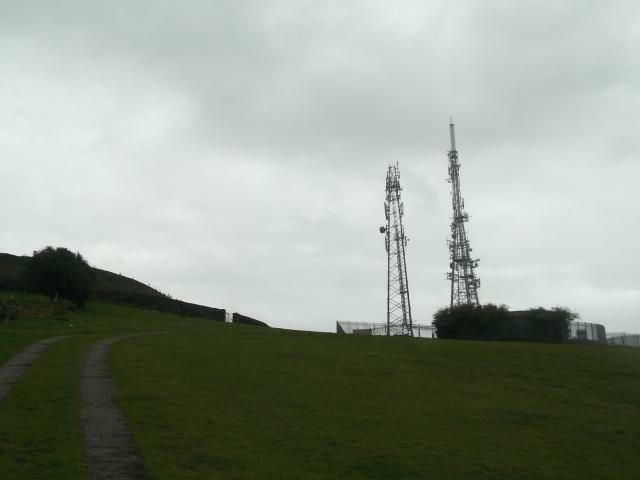 Idle Hill Masts. View from pillar. Retrospective log. Passed right by here en route to the pillar on top of Idle Hill reservoir (as no doubt many others have). 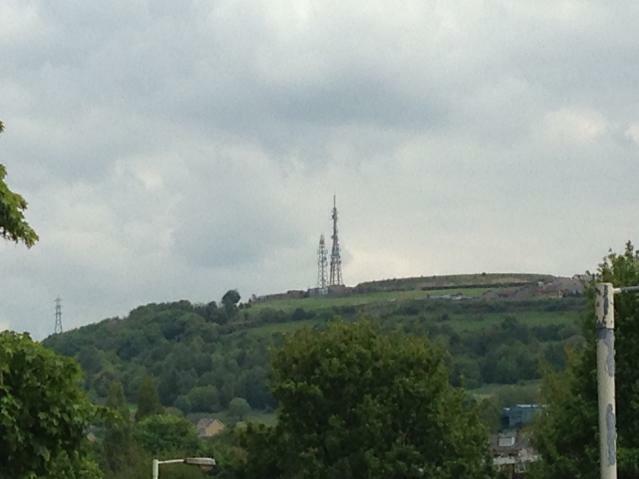 One of the most prominent landmarks in this area - for better or for worse !